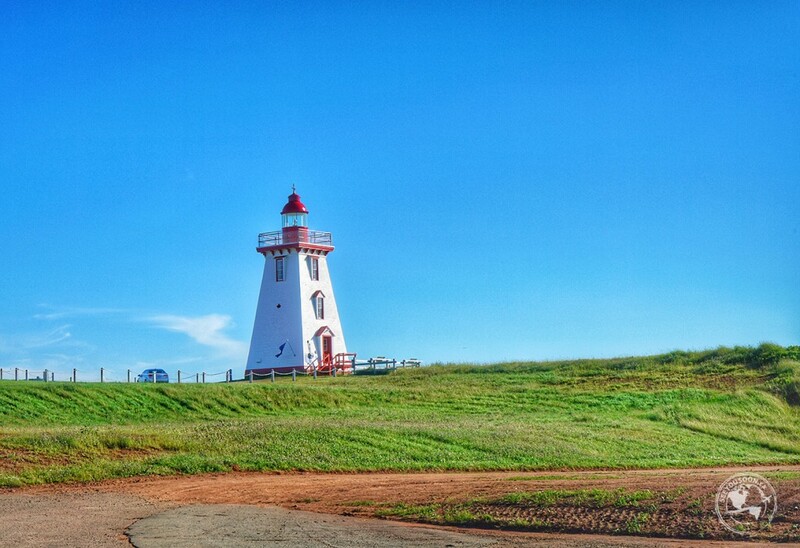 From hotels to motels, beach-side bungalows, and family-run B&Bs, there’s lots of accommodation options to choose from when visiting Prince Edward Island. 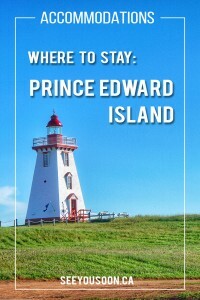 If you’re road-tripping through Atlantic Canada, like Tristan and I did, and you’re looking for budget-friendly accommodations, there’s one really great option to consider when looking for a place to stay on PEI – Kampgrounds of America. Kampgrounds of America, or KOA for short, has sites all across North America, and in PEI they have 2 locations to choose from, KOA Cavendish and KOA Cornwall/Charlottetown. 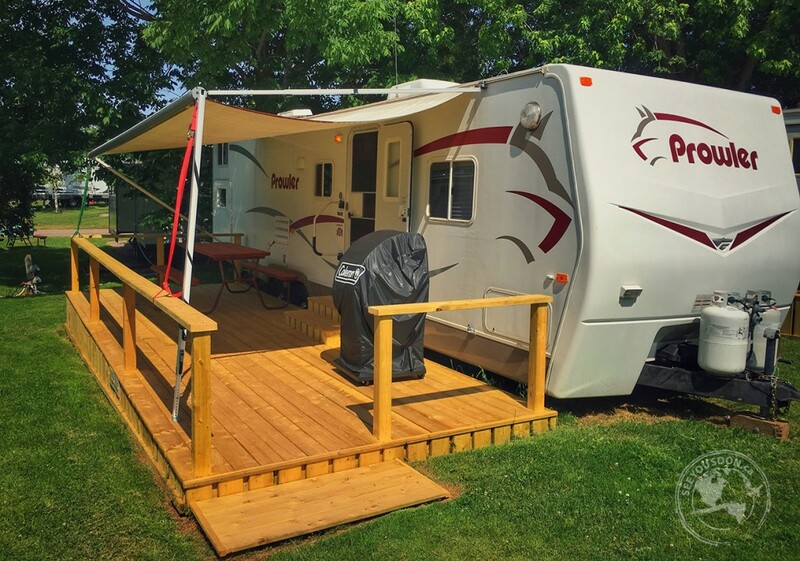 On PEI, the campgrounds are family-run and cater to those looking for tent or RV sites, plus a variety of rental accommodations including cabins and trailers. The KOA sites are perfect for families and include a long list of amenities. We decided to split our stays between both KOA locations as it would allow us to divide up the island for daytime explorations and minimize covering the same ground. We stayed at the KOA Cavendish location for 2 nights in one of the rental trailers. We had already been tent camping quite a bit up to this point of our trip so we wanted to try something new. Our trailer came fully equipped including kitchen supplies, linen, air conditioning, and featured sleeping space for 4, a full bathroom, a picnic table on the porch, a BBQ and fire pit. And the best part, we didn’t have to set anything up! Within a couple of hours of settling into our trailer and putting the finishing touches on our dinner, owners Kathleen and Victor Hryckiw popped by to say hi and even brought dessert. It was dessert night at the campground and they wanted to make sure we were properly welcomed. Victor had a few things to take care of but Kathleen stayed and chatted with us for a bit. She recounted stories from the many years of running the campground with Victor and the number of families she’s gotten to know from their repeat visits. If bringing us dessert wasn’t a sign of great hospitality, learning about the families who make it a yearly trip to KOA Cavendish cemented my feelings that this was a very well run KOA. What I liked most about KOA Cavendish is that it puts you right in the centre of the island. 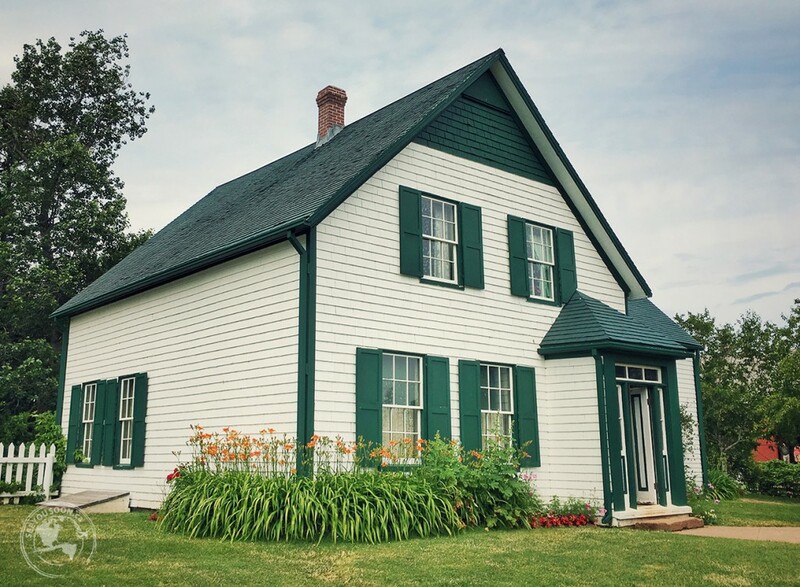 It’s the perfect location to explore Cavendish, Anne of Green Gables (and everything L.M Montgomery related), the western/northern part of the island, and close to a can’t miss experience – a lobster supper at the New Glasgow Lobster Suppers. 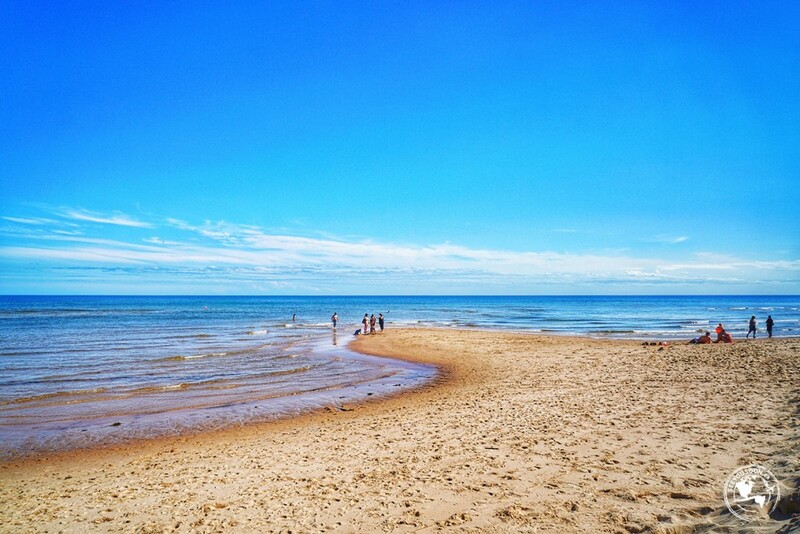 This is also the perfect spot to stay if you’re attending the Cavendish Beach Music Festival, but book early as sites fill up months before the festival. KOA Cavendish is part of the KOA Holiday line of campgrounds, “an ideal place to relax and play with family and friends. There’s plenty to do, with amenities and services to make guests’ stay memorable, and premium sites and accommodations for camping in comfort.” It’s a fantastic family-friendly spot with lots of activities for the kids: swimming pool, petting zoo, wagon rides, weekend pancake breakfasts and movie nights. Plus my favourite: the jumping pillow! Note: special arrangements were made for our 2-night stay in the rental trailer. Otherwise, there is a minimum booking of 5 nights. After exploring Cavendish and the western/northern part of PEI, we changed locations and checked into the KOA Cornwall/Charlottetown location for 3 nights. 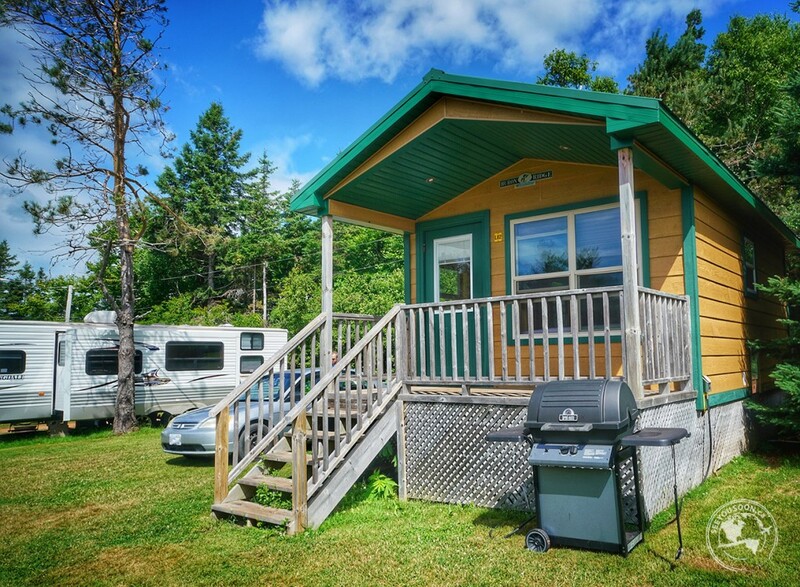 It’s located 9km southwest of Charlottetown, right on the banks of the West River, and offers RV and tent sites, plus rental cabins. 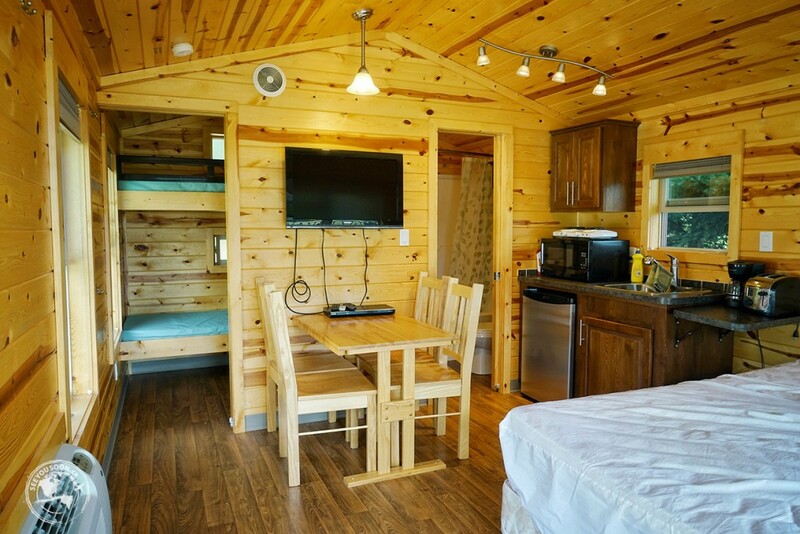 We stayed in one of their deluxe rental cabins to see what our experience would be like. 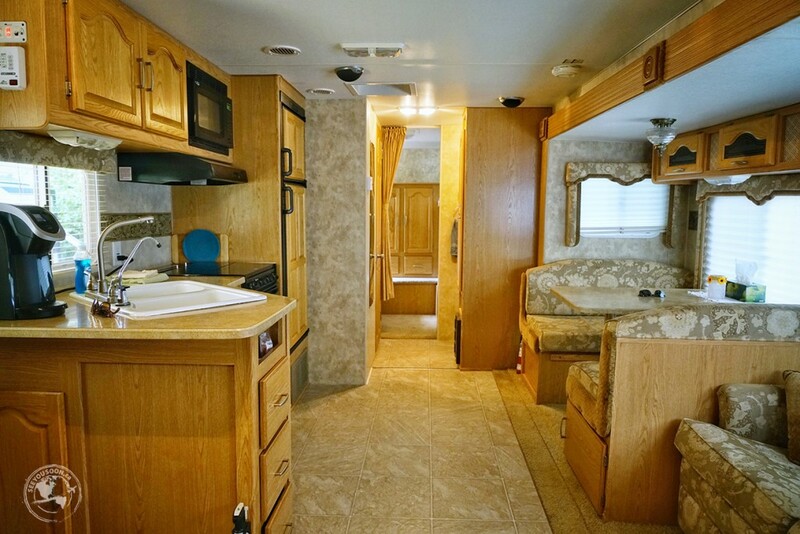 The deluxe cabin featured a queen-sized bed, a separate area with a bunk bed, a partial kitchen, small dining table, a full bathroom with tub, air conditioning, and a BBQ and fire pit out front. Bedding and linens were not provided but some cookware was available in the cabin. For two grown adults, we found the cabin space to be rather tight but it was a welcomed change to have a full bathroom to wash up in! Our deluxe cabin at KOA Cornwall/Charlottetown. Similar to the KOA Cavendish location, this one also offered a lot of family-friendly programing and amenities including an Olympic-sized pool and an off-leash dog-park area. It was also really enjoyable being right on the shores of the West River, making for some relaxing strolls on the beach during sunset. Both locations offered free wifi but due to the number of people staying in each campground, the connection was so painfully slow it wasn’t an amenity I’d really promote. Basin Head Beach, home of the ‘singing sands’! The KOA Cornwall/Charlottetown location was a great home base to explore the eastern/southern side of PEI. We spent a couple of days checking out Greenwich Prince Edward Island National Park, Brackley Beach, Basin Head Provincial Park (home of the ‘singing sands’), PEI’s most easterly point, cycled part of the Confederation Trail, and of course, wandered around the charming city of Charlottetown. Disclaimer: Our stay at both KOA locations was covered by Kampgrounds of America. All views and opinions remain our own.